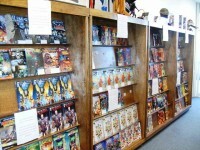 I spent this past Free Comic Book Day at Heroes And Dreams in Flowood, MS. Iâ€™m sure you have already read my reviews of the free comics my family picked up (didnâ€™t you? 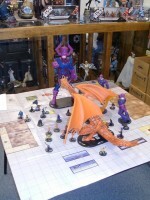 ), but now I can let you know a little more about what activities happened at the store before we made it there. Take the jump for more about the event, plus a gallery of images too. 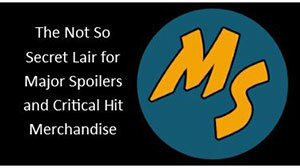 Having not been to the store before, I took a moment to speak with store manager Dale Griffin and asked him what Free Comic Book Day meant for him and the store. 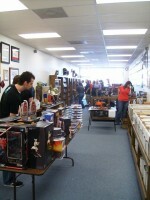 All in all, Free Comic Book Day turned out to be a success for everyone involved. I heard a lot of happy customers around the store while I was there, and I know I personally am looking forward to next time! 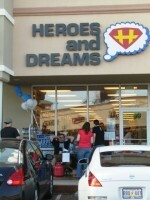 Heroes And Dreams is newest comic book store in the Jackson area and is located at 5352 Hwy 25, Suite 1650, Flowood, Mississippi. 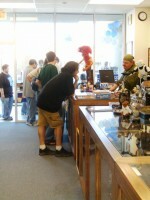 For information about the store, check out their website or contact them at 601-922-3100. 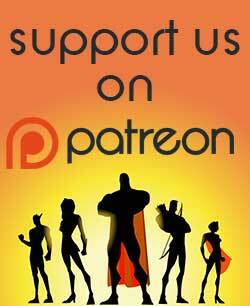 Did you attend Free Comic Book Day? Did you take a lot of pictures of the event at your location? 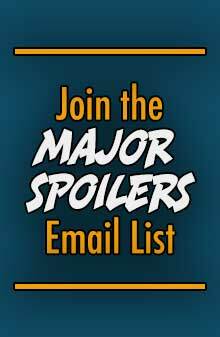 If so, drop us an email (schleicher@majorspoilers.com) and we’ll share them with the world. I thought I put it in, but I must have missed it in the various drafts. The store owner’s name is Jay Long. I had that in there, but it must have accidentally got deleted during a re-write. Sorry.